It’s National Cookie Day! 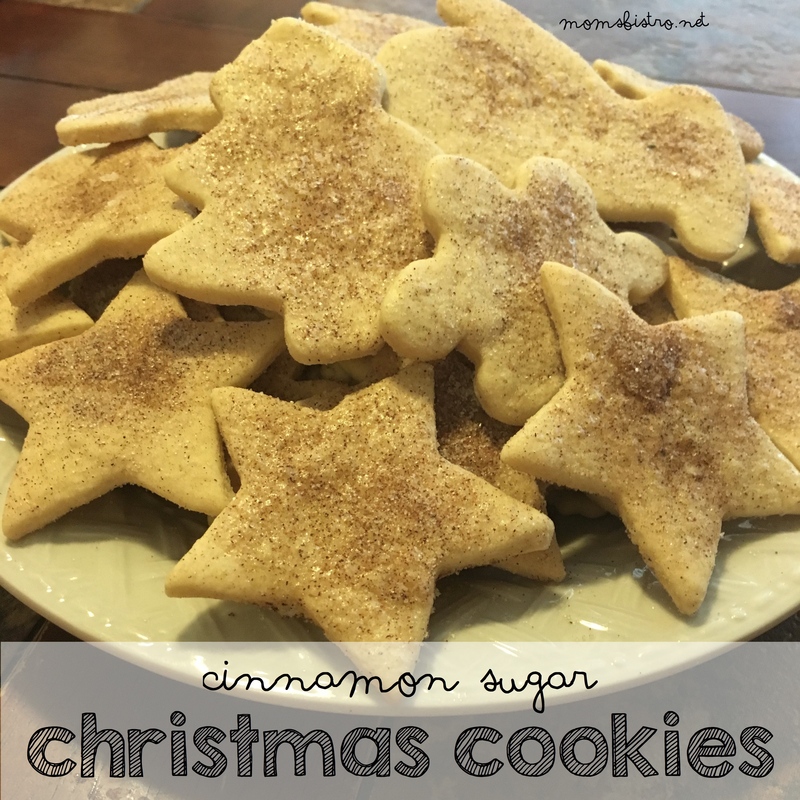 Celebrate and make some Christmas Cookies with this easy Cinnamon Sugar Cookie recipe! Around this time of year,everyone always seems to be looking up recipes and making Christmas Cookies. 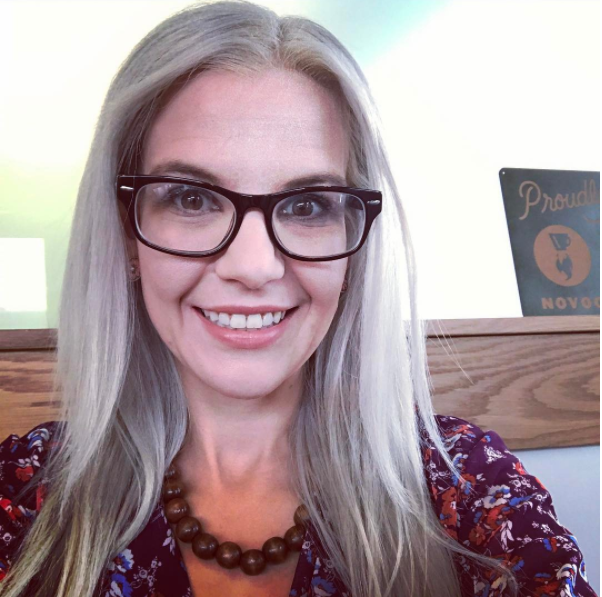 And when Country Crock contacted me to see if I wanted to try their new buttery spread, I immediately jumped on the opportunity, because I LOVE butter, and lets be honest, you can’t make Christmas Cookies without butter! 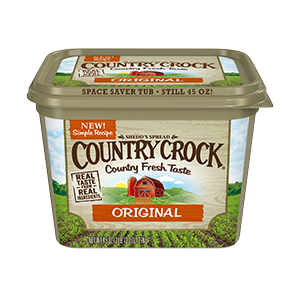 Country Crock has changed their buttery spread recipe, and as a consumer of mass quantities of butter, this one really is different. 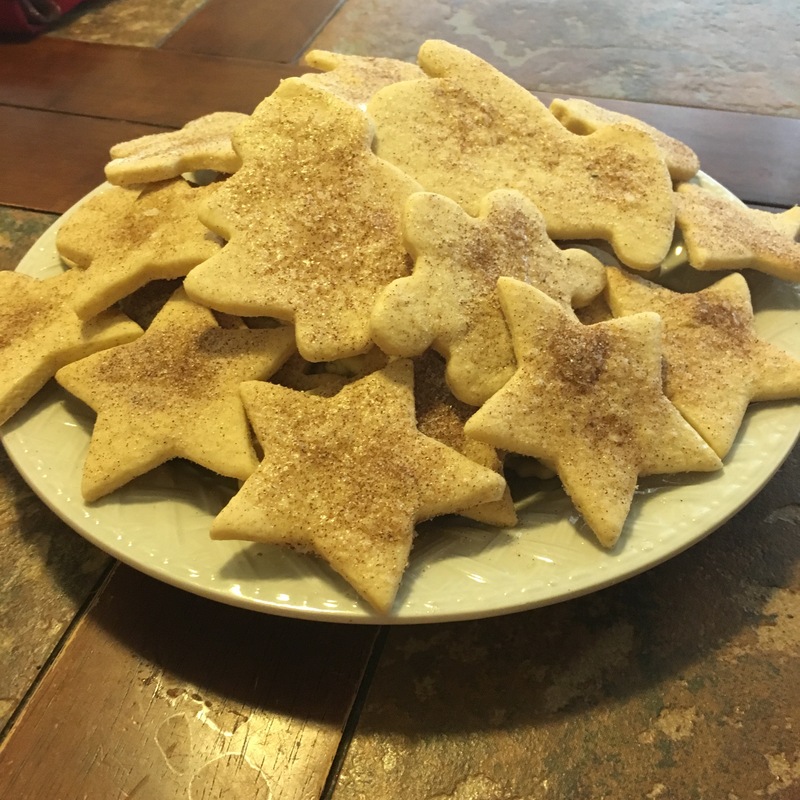 Not only was I able to use some of the Country Crock spread this year at Thanksgiving to make my homemade dinner rolls and honey butter, but I was also able to use it to make these delicious Cinnamon Sugar Christmas Cookies. The new Country Crock recipe has made all the difference in my Christmas baking. 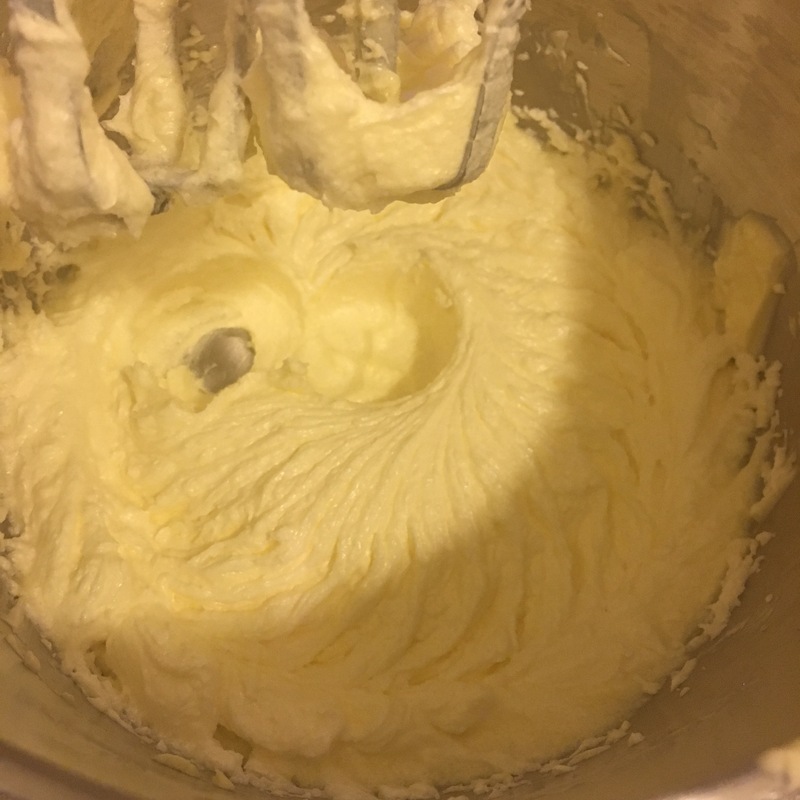 The smoothness of the spread makes it so easy to measure out and blend into some sugar, and becomes light and fluffy. Their new buttery spread recipe is made with all real ingredients and the essential fats that are recommended in our diet. Making Christmas Cookies is more than just the cookies. To me, it’s the one-on-one time that I get to spend with Anthony. We put on our matching snowman aprons, and get to interact in a way that we don’t get by playing – there is learning involved and the memories that we are creating, just spending time together. 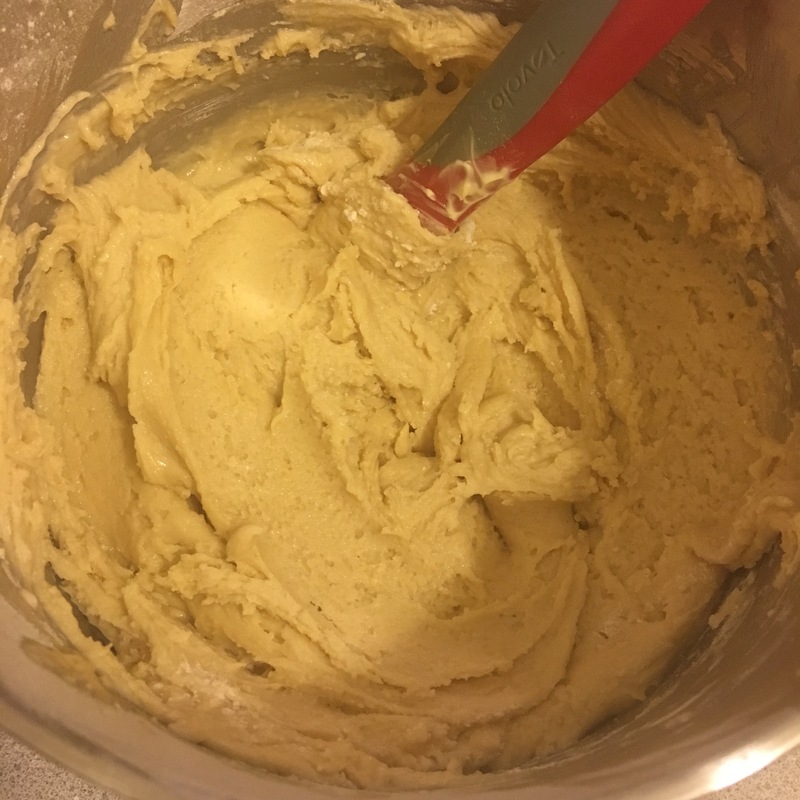 Plus, we get to lick the beaters of the mixer after blending butter and sugar, and let’s be honest… sometimes that is even better than the actual Christmas Cookies. 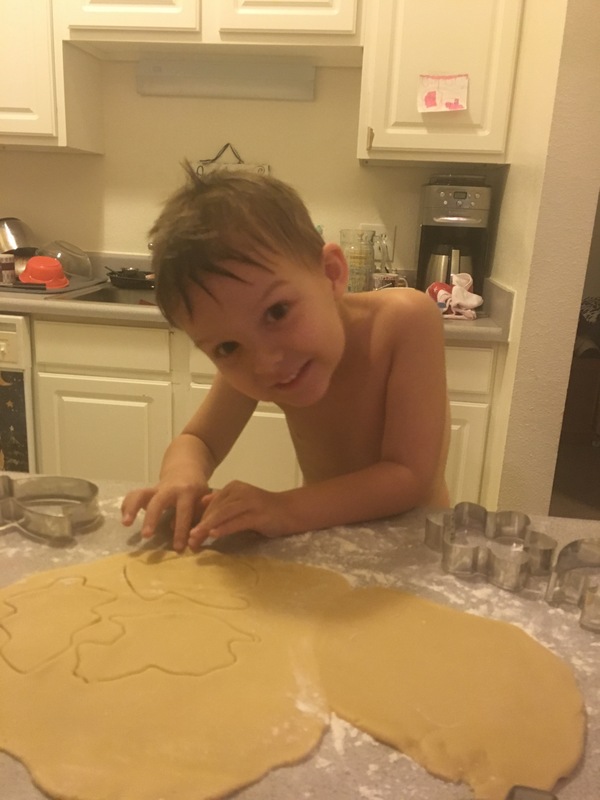 Ignore the mess of my kitchen, I wasn’t planning on taking this picture, but he is just so darn cute, and was so happy being able to cut out and make his own cookies, I could’t resist the smile! My little ham! 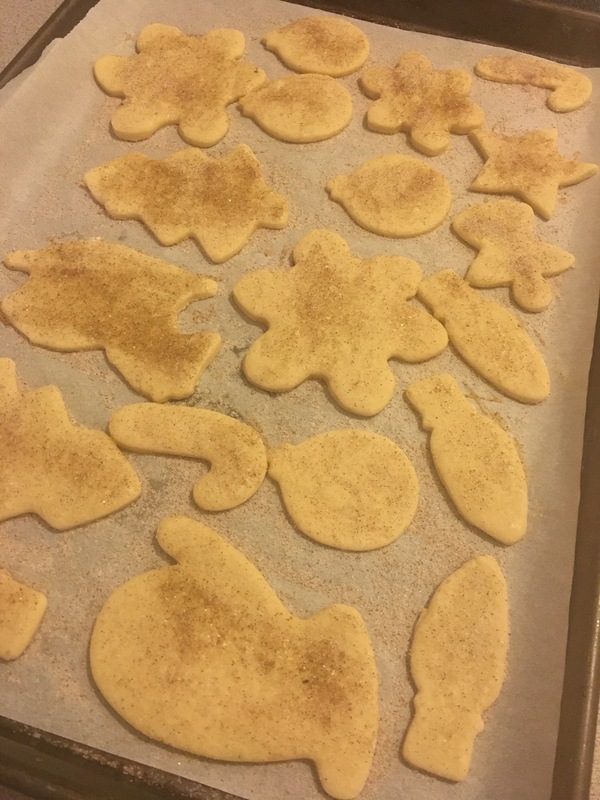 The Cinnamon Sugar Christmas Cookies were inspired from a recipe on Country Crock’s website. 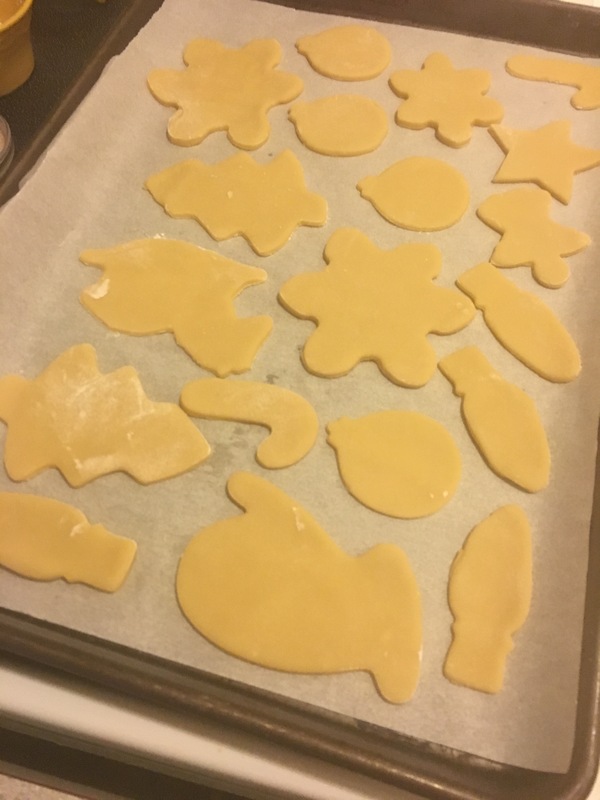 The recipe was for just Christmas stars, but I wanted to make it a little more fun for Anthony and I, so we brought out all of the Christmas cookie cutters, and made these fun Christmas shapes! Aren’t those little fingers just so cute? Line baking sheets with parchment paper; set aside. Separate 1 egg; set aside. 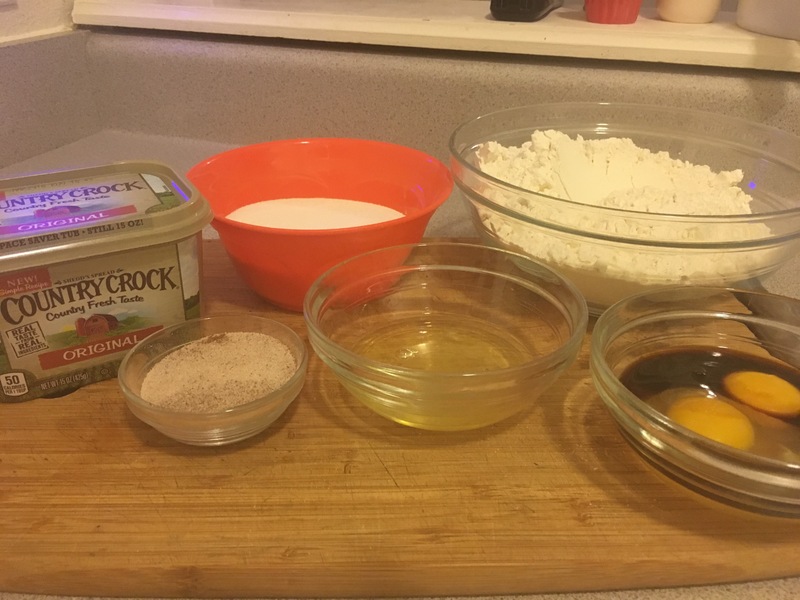 Beat Country Crock® Spreadable Sticks with 1 cup sugar in large bowl with electric mixer until light and fluffy, about 2 minutes. Beat in whole egg, egg yolk and vanilla until blended. Beat in flour. 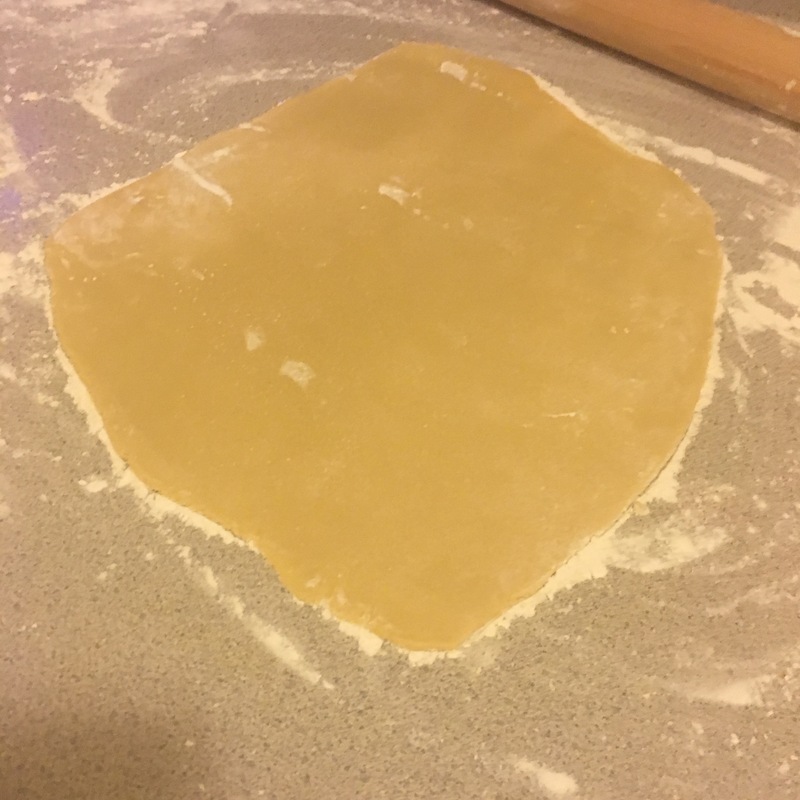 Divide dough into 4 pieces and shape into disks. Wrap each in plastic wrap and chill at least 2 hours or until firm. 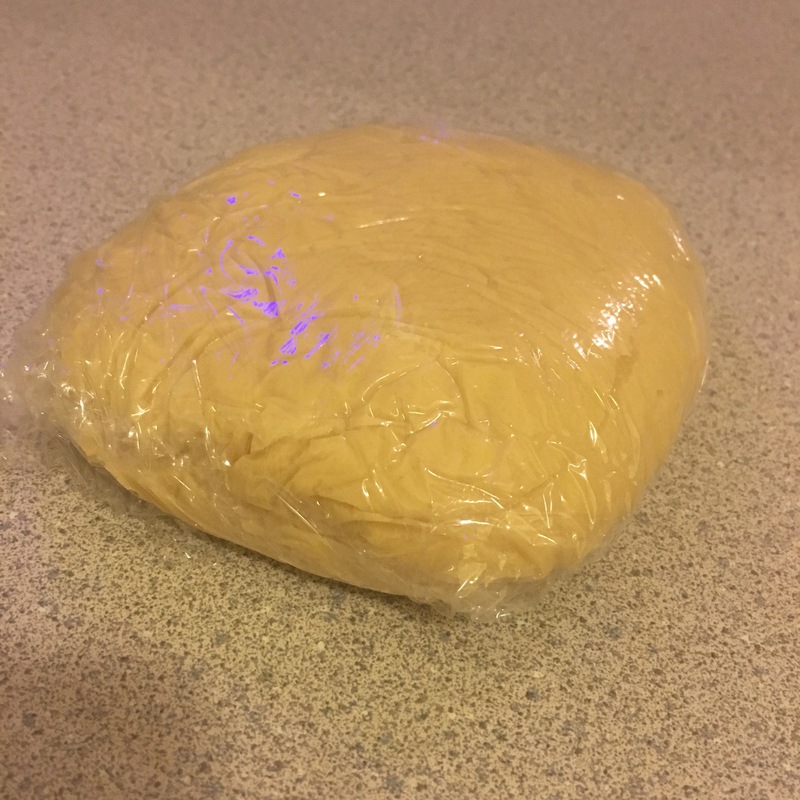 Remove plastic wrap and roll dough 1/8-inch thick on floured surface. Cut out cookies with 2-inch star or round cookie cutter; arrange on prepared baking sheets. 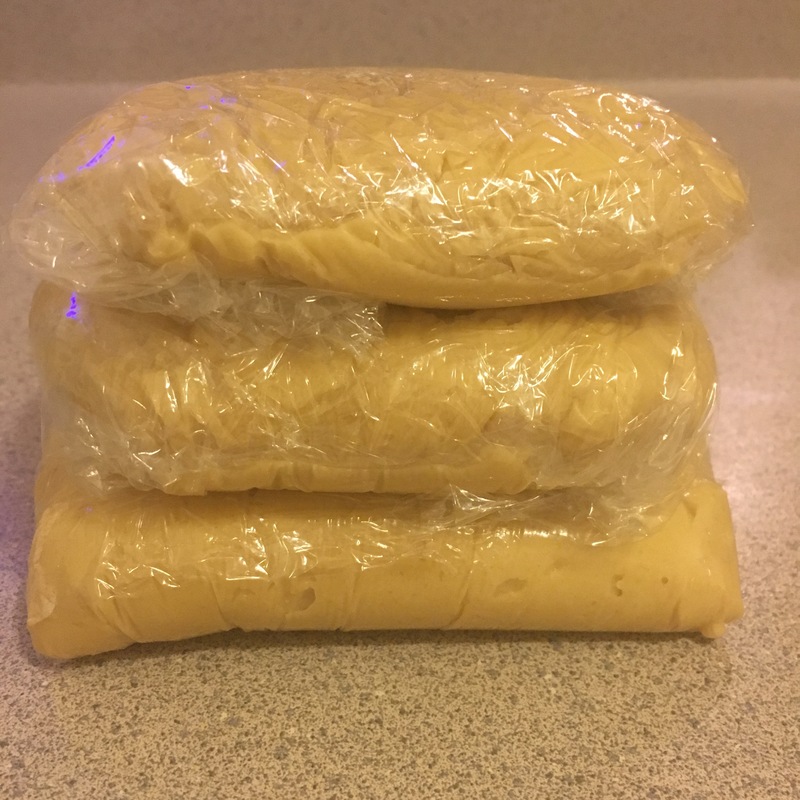 If dough becomes too soft, return to refrigerator to firm up. 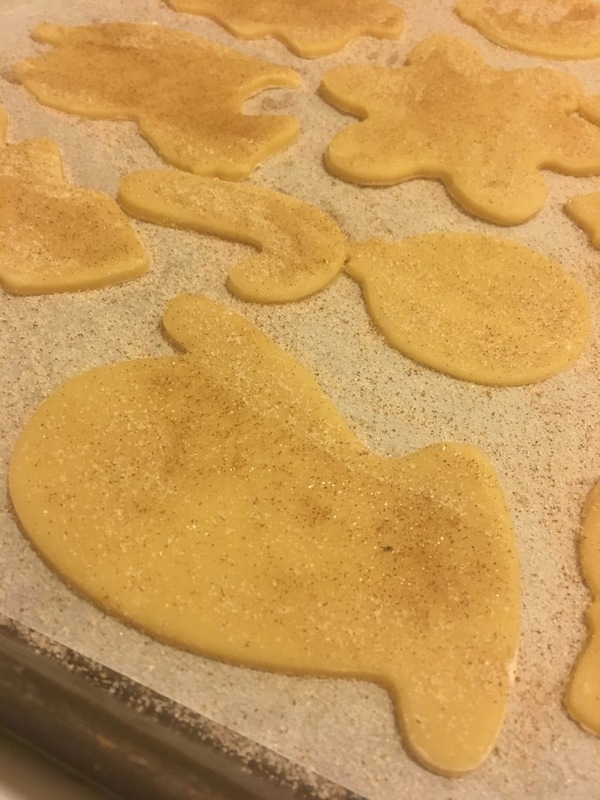 Brush tops of cookies with lightly beaten egg white, then sprinkle with remaining 2 tablespoons sugar blended with cinnamon. 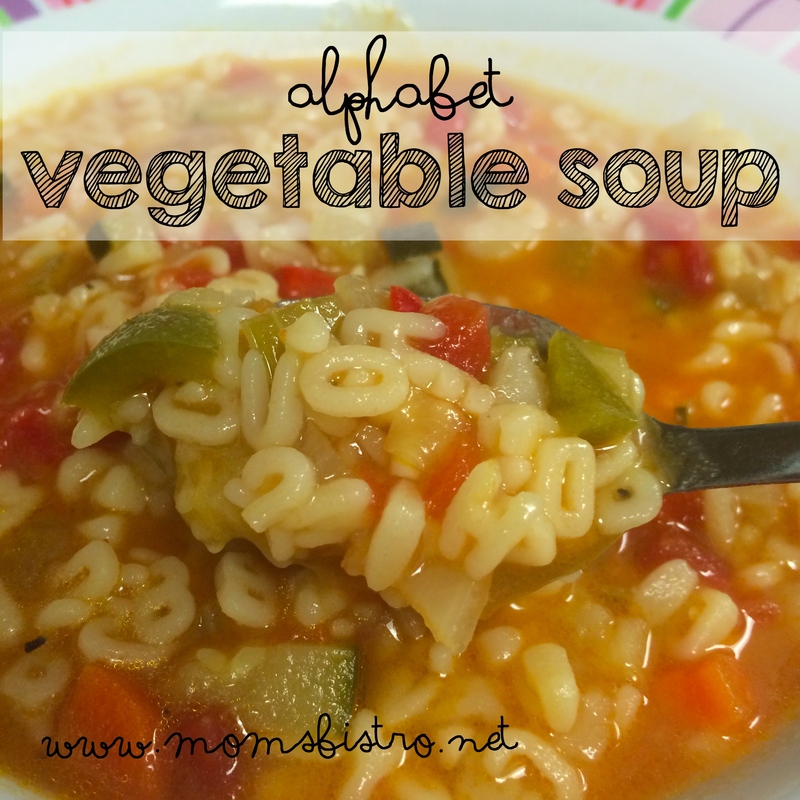 Bake 10 minutes or until edges are just golden. Let stand 2 minutes; remove cookies from sheets and cool completely on wire rack. 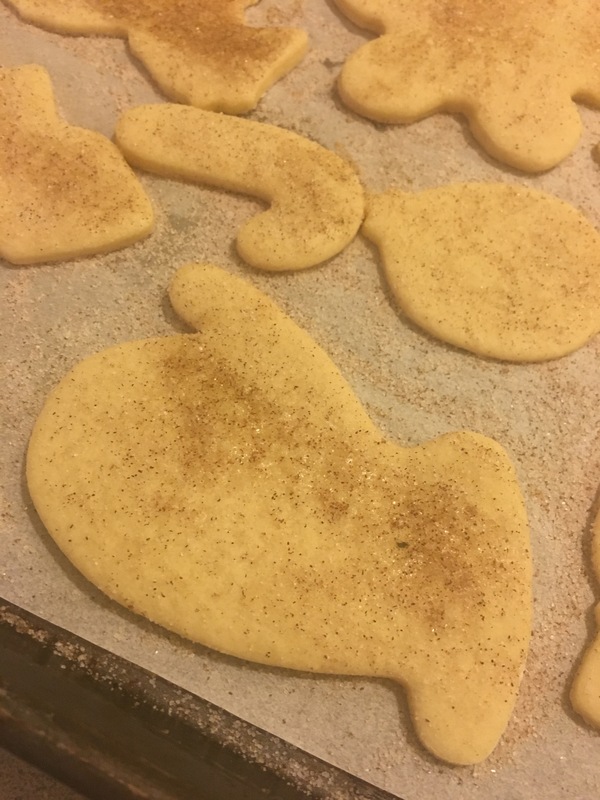 What is your favorite part about making Christmas cookies? 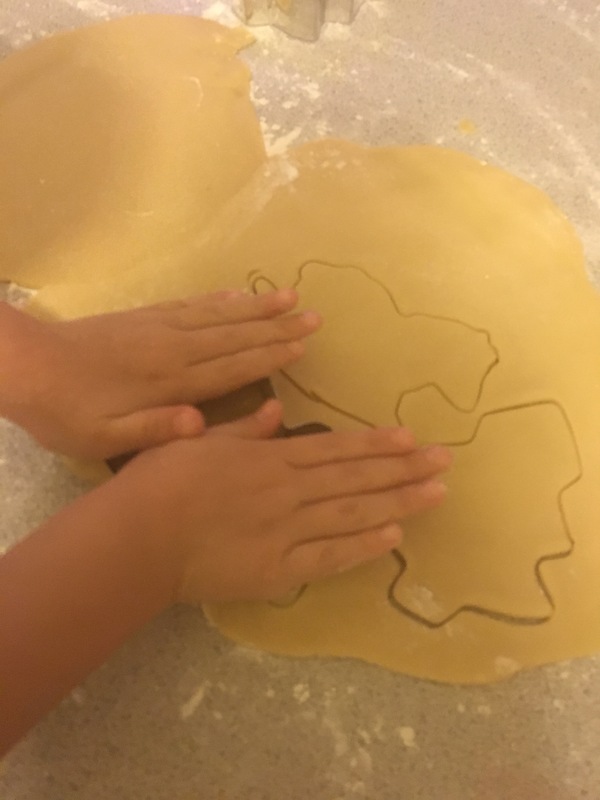 Share with me in the comments, and inspire other families to get together today, on National Cookie Day and make some Christmas Cookies as a family. 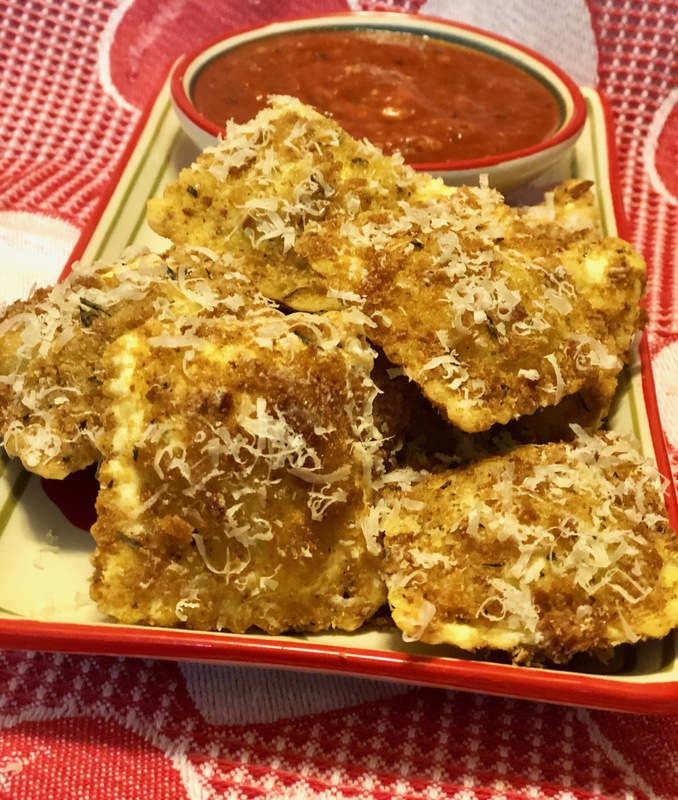 For the printable version of this recipe, visit Country Crock‘s website and enjoy this recipe along with other fantastic Christmas Cookie recipes.